New 2018 content published in our Hawai‘i and Pacific journals garnered nearly 7,500 downloads worldwide on both Project MUSE and the University of Hawai‘i’s open access digital repository, Kahualike. Palapala: a journal for Hawaiian language and literature, launched in spring 2017, is the first peer-reviewed Hawaiian language journal to be published exclusively online. 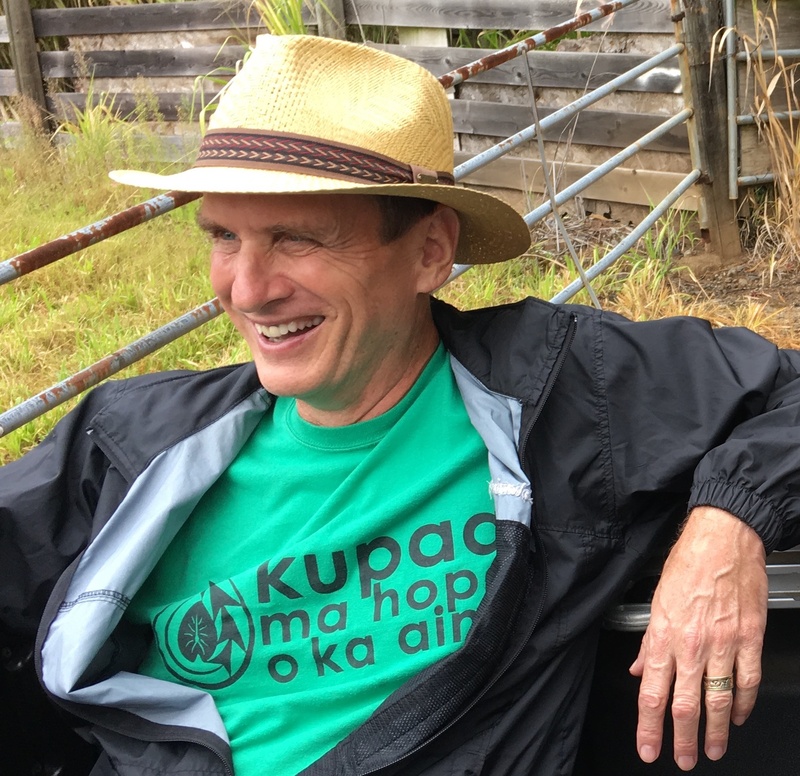 Here, editor Jeffrey “Kapali” Lyon discusses how the journal came together and what it means for Hawaiian research. Tell us how Palapala came together. I had discussed the idea of a peer-reviewed journal dedicated to Hawaiian language scholarship for several years both in Hilo and Mānoa, and found that nearly all scholars of Hawaiian and Hawaiian literature wanted to see it happen. Many of us were distressed that there was no journal dedicated to such an important subject and that, in order to publish our new work, we had to send our research to journals all around the world, none of which were aimed at scholars who work mostly in Hawaiian. During my second year at Mānoa, about 2011 I think, John Charlot, Bob Stauffer, and I were at dinner, and had a serious discussion on what could be done to move ahead, including choosing a board and a publisher. We agreed that we should try to get one representative from each of the University of Hawai’i colleges where Hawaiian plays an important role, and one representative from outside of the university of Hawai’i system. Once our editorial board was in place, we solicited contributions and met with UH Press representatives who enthusiastically supported the idea of an academic journal dedicated to Hawaiian language and literature. What makes this issue historic, in terms of Hawaiian scholarship? Hawaiian is a world-class literature that has received scant attention outside, and often inside, of Hawaiʻi. It is time to change that perception. Also, the Hawaiian language is the medium of one of the worldʻs largest indigenous literatures. It deserves the attention of scholars, particularly now that it is again recognized as an official language of Hawaiʻi. The good news is that we are making history, the bad news is that Hawaiian and Hawaiian literature ever fell into obscurity. 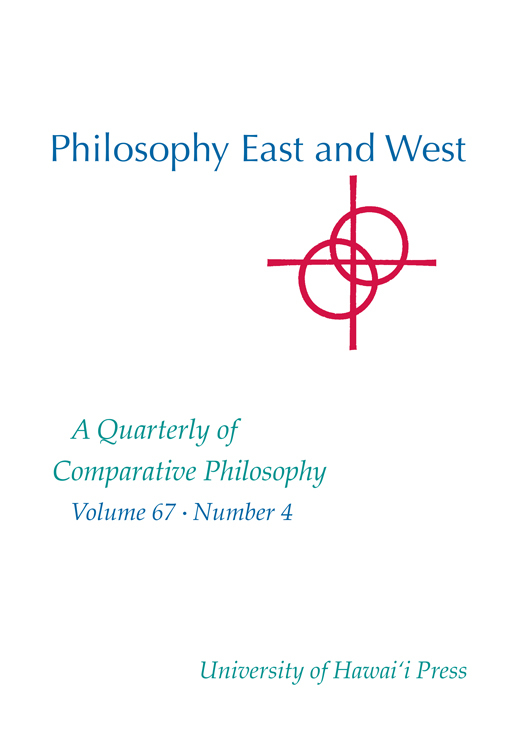 We hope that with the coming of this journal, we can help create a shift in its scholarly status today. Papalala is open-access, meaning anyone can read it for free online. How do you see Palapala being used in the world? We are now part of the search-engine world. Those interested in Hawaiʻi will be able to find academically credible, peer-reviewed work written by accomplished scholars on a host of subjects centered around Hawaiian language and literature. This is, I believe, far better than printing a few hundred paper copies found in the reference sections of research libraries. We will also produce printed copies of Palapala, but the search-engine is the driving force today behind both simple curiosity and determined digging. What did you learn about the Hawaiian language from putting this issue together? What I really learned in this process was how little has been published about Hawaiian and Hawaiian literature in comparison to how much of that literature has been preserved. Each article demonstrates, in its own way, that we are at the beginning of the voyage and that there is so much to learn, so much work to be done on history, word meanings, printing texts, analyzing genres, customs, comparisons with other Polynesian cultures …. I could go on. Charles Langlas’ article is a case in point. Here we are, nearly two hundred years after Hawaiians began to write about their own culture, and we are only now seeing the first scholarly investigation of when the Hawaiian day began. People living in traditional Hawaiian culture were equipped in ways we scarcely understand today to deal with the world around them, both material and unseen: trees, plants, medicines, sprits, fishing, genealogies, and centuries of oral literature, to name only a few, all preserved using an exact terminology, much of which is not well known to us today. A young adult, or in many cases, even young children of 150 years ago, would make many of us working in Hawaiian today feel foolish and ignorant. They, their ancestors, and many of their descendants possessed linguistic and cultural knowledge far beyond that of any university scholar working in this field, some of which, however, can still be relearned through the study of the language and the literature found in their newspapers, letters, and recordings. In short, I am once again, reminded of how little I know, and how much I still hope to learn. Palapala prints articles in Hawaiian, English, and, if we can find peer reviewers, other languages. Other than the articles themselves, everything, including article summaries, is printed in Hawaiian accompanied by an English translation. I believe that literature written in Hawaiian is one of the great, neglected, treasures of world literature. Those who produced this literature, for centuries as oral tradition, and later, since the 1830’s, in newspapers, books, and letters, were trained to express themselves in a reflective, exhilarating eloquence as worthy of the world’s attention as those that are now commonly available to every reader. I would like to see the story of Halemano, one of the world’s great short stories, be as well-known one day as that of Gilgamesh, Oedipus, or the stories of Kafka, and to see university students at Harvard, Oxford, and Munich, have the opportunity to learn to read Hawaiian literature in Hawaiian. Lastly, here in Hawai’i, I hope that Palapala will contribute to more people committing themselves to speak, read, and write Hawaiian. It is a lei whose fragrance never fades. Palapala publishes scholarly, refereed articles on the full range of topics in the field of Hawaiian language. The entirety of Palapala volume 1, issue 1, which includes contemporary research in both Hawaiian and English, is available for free through UH library’s ScholarSpace. All submissions and editorial inquiries should be addressed to Kapali Lyon, Editor, at palapala@hawaii.edu. 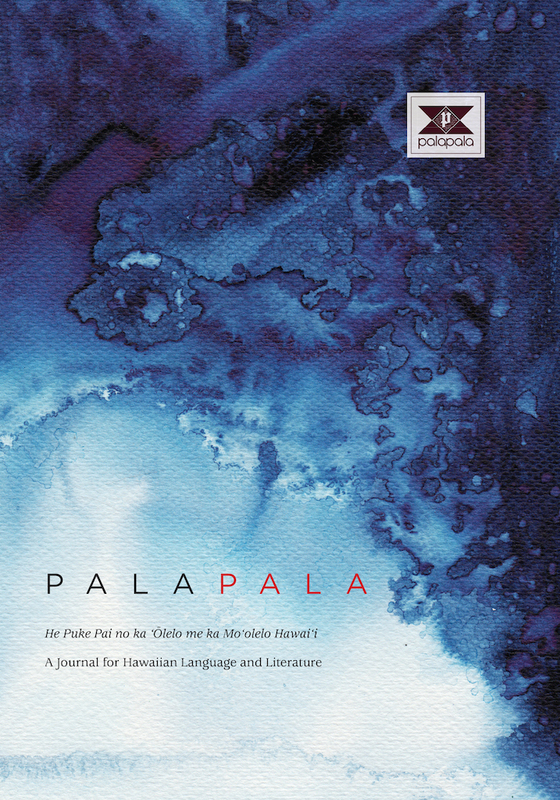 The University of Hawai‘i Press is proud to publish a new, open-access resource for Hawaiian scholars, Palapala: a journal for Hawaiian language and literature. It is the first peer-reviewed Hawaiian language journal to be published exclusively online.